Mel Gibson and Danny Glover are Los Angeles police partners Martin Riggs and Roger Murtaugh, reprising their role from the earlier Lethal Weapon films. In this movie, Riggs and Murtaugh are put on a hit list by the aggressive gang The Triads. The duo can’t take on The Triads alone, however, and incorporate the help of rookie cop Lee Butters and a private detective named Leo Getz. Packed with explosive martial arts sequences, the four lawmen attempt to put an end to the ferocious gang. 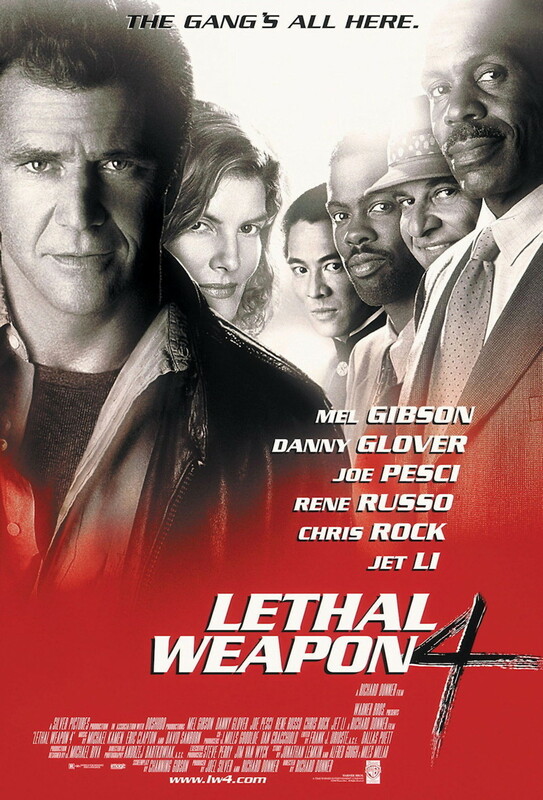 Lethal Weapon 4 also stars Jet Li, Chris Rock, Joe Pesci, and Traci Wolfe.